Peter Nelson of the Fred Hutchinson Cancer Research Center in Seattle co-authored a study and published it in Nature Medicine this month detailing how chemotherapy not only produces resistance to chemotherapy by cancerous tumors but also stimulates its’ growth and metastasis (spread). Approximately 90% of people with metastatic cancer become resistant to chemotherapy. This occurs readily in cancers of the breast, prostate, lung, pancreas and colon. It was a surprise to researchers that a protein, previously identified as being involved in the development of normal cells, as well as some cancer cells, can be found in relatively high concentrations in the environment surrounding tumors having been treated with chemotherapy. This protein, referred to as “WNT16B,” is taken up by nearby cancer cells, causing them to “grow, invade, and importantly, resist subsequent therapy,” said Peter Nelson of the Fred Hutchinson Cancer Research Center in Seattle. Also, it came as quite a surprise that the fibroblasts, which are necessary for connective tissue strength, growth, and maintenance, as well as a myriad of other functions from wound healing to immunity, produce WNT16B in abundance due to exposure to excessive amounts of chemotherapy. 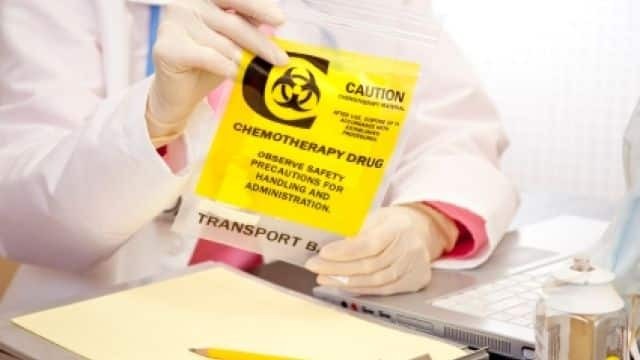 This modality of chemotherapy administration involves the use of a naturally occurring molecule found in all mammals and non-mammalian vertebrates, including reptiles, amphibians, birds and fish, although it may differ slightly in structure from one species to another. The insulin in hagfish, for example differ in only one amino acid from that of pig insulin and only two amino acids from that of human insulin. 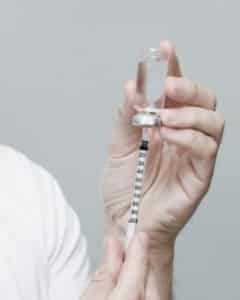 Insulin has a myriad of consequences by triggering multiple biochemical processes in cells; however, the main purpose of insulin is to regulate energy production in the body by increasing uptake of glucose into cells and stimulating the production of fat deposition to store any excess glucose. One of the enzymes that is stimulated by insulin is called delta-9-desaturase, which basically makes the membranes or “skin” of the cells liquid and permeable rather than relatively solid and impermeable. Cancer cells are known to have from 6 to as much as 17 times more insulin receptors on their cells and these receptors have a 60% greater affinity (“stickiness”) for insulin. Increasing the insulin receptor status on their cell membranes is an essential survival mechanism undertaken by cancer cells because they metabolize sugar differently than healthy cells. Healthy cells use oxygen and glucose to produce energy very efficiently resulting in 38 ATP (energy ‘packages’) while cancer cells have lost the ability to utilize oxygen to enhance energy production hence they are considered anaerobic. Anaerobic energy production, as seen in primitive life forms is called fermentation or glycolysis and this is how cancer cells metabolize sugar for energy. This is extremely inefficient resulting in only 2 ATP for every molecule of glucose, instead of 38. Clearly, then the cancer cell which has to keep up with the body needs about 19 times more glucose (fuel) to survive and this is accomplished by increasing the number and affinity of insulin receptors on their cell membranes. For more information about IPT and other modalities utilized in healing from cancer, call An Oasis of Healing at 480-834-5414.